under the State highways! Here is a map of areas the State installed signs. Slap Out Gully crosses Decker Drive close to the Church on the Rock, formerly known as Spring Gully. Cedar Bayou main bayou that runs through Baytown. Goose Creek/Lake main creek that runs through Baytown. Ash Lake located at exit point of Cedar Bayou into the Ship Channel. Fisher Marsh located at exit point of Cedar Bayou into the Ship Channel. 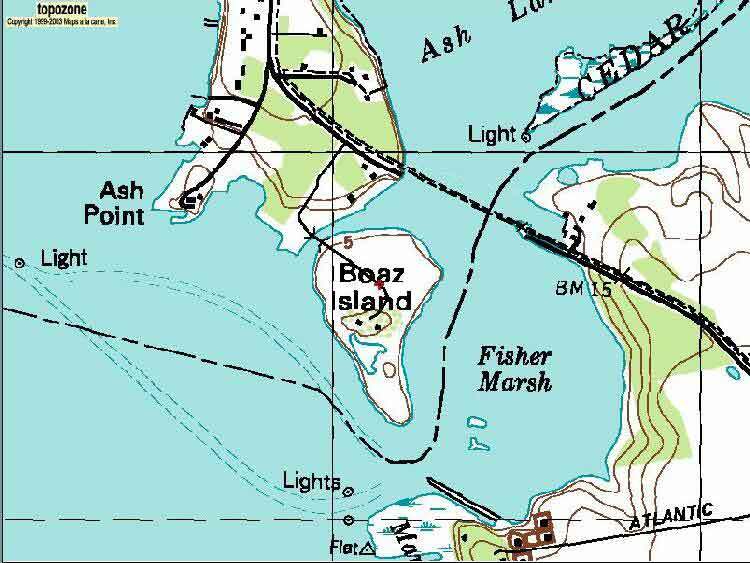 Boaz Island located at exit point of Cedar Bayou into the Ship Channel. Ijams Lake/Gully located at exit point of Cedar Bayou into the Ship Channel. 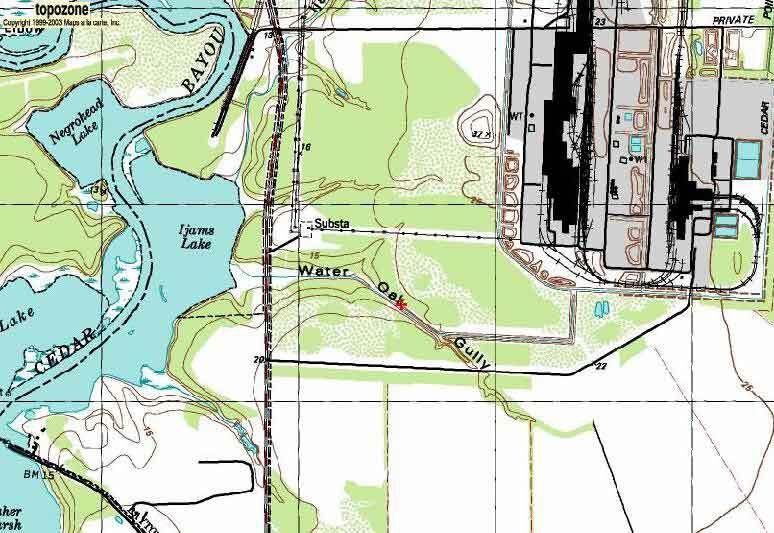 Water Oak Gully dumps into Ijams lake out by the old USS Steel Plant. Negrohead Lake on Cedar Bayou adjacent to Ijams Lake. Devil's Elbow a sharp bend in Cedar Bayou north of Negrohead Lake. Pine Gully crosses Tri-City Beach Road in between Fisher Drive and Evergreen Road. Cedar Gully crosses Fisher Drive out by Beach City. 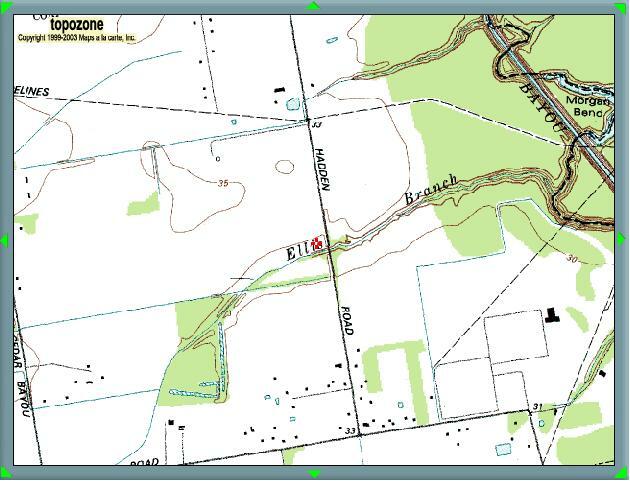 Saw Pit Gully runs just south of FM 565 and joins Cedar Bayou. Sutton Gully takes off far side of Cedar Bayou about where Ward Road dead ends at Kilgore Road. Pounds Gully crosses Ferry Road close to Cedar Bayou Methodist Church. Cary Bayou joins Cedar Bayou at Milam Bend and runs through Whispering Pines and behind Jenkins Park. Horsepen Bayou crosses Hwy 146 just north of FM 1405. 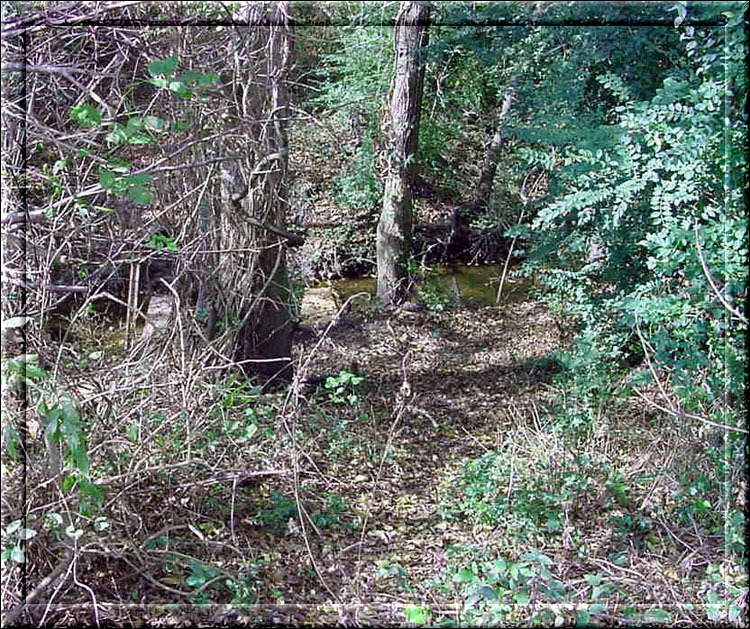 McGee Gully connects to Cedar Bayou behind Pinehurst Subdivision and runs under I-10 close to Sjolander Road. 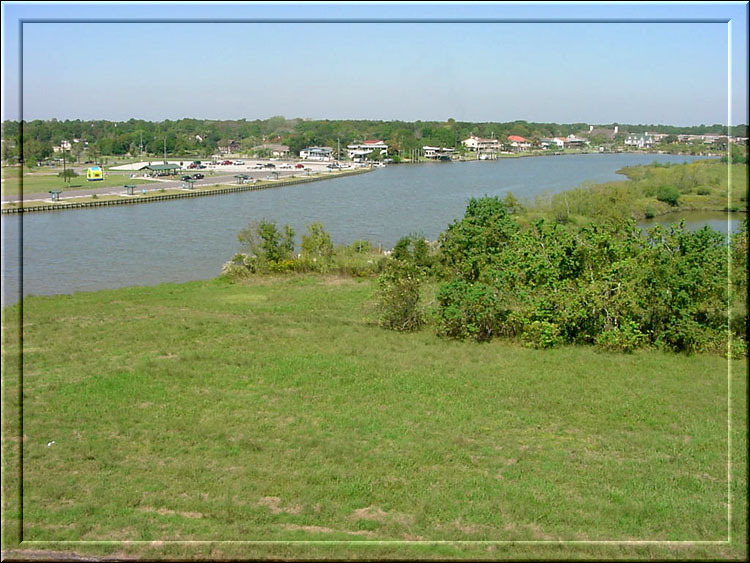 San Jacinto River runs to the Ship Channel on the west side of Baytown. Burnett Bay northern most bay on west side of Baytown. Freshwater Bayou southern end of Burnett Bay, north side of Brownwood. Crystal Bay west side of Brownwood. Goat Islands small masses west of Brownwood in the Ship Channel. Scott Bay western bay that is visible from Bayway Drive. Mitchell Bay small bay on southern end of Scott Bay. Houston Ship Channel/San Jacinto River the Fred Hartman bridge crosses it and the Baytown Tunnel used to go under it. Alexander (Bush) Island large land mass in ship channel that is on north side of the Fred Hartman bridge. Hog Island large land mass in ship channel that is on south side of the Fred Hartman Bridge. Black Duck Bay two-part bay adjacent to the State streets, visible on left as you come over the Fred Hartman Bridge from La Porte (going north). Blackwell Peninsula land mass on west side of Black Duck Bay. San Jacinto Bay the bay at the northern tip of Hog Island and closest to the southern side of the Fred Hartman bridge. Tabbs Bay the bay at the exit point of Goose Creek/Lake and directly across from Hog Island. Evergreen Point the old Evergreen Mansion was situated here, where the road bends. Galveston Bay the giant bay south of Baytown that joins the Gulf of Mexico. The photos below are large in file size to preserve the quality. Push F-11 on your keyboard. 1 Cary Bayou (unmarked) as it travels under Raccoon Drive. 2 Newly marked Cedar Bayou sign on State Hwy 146. 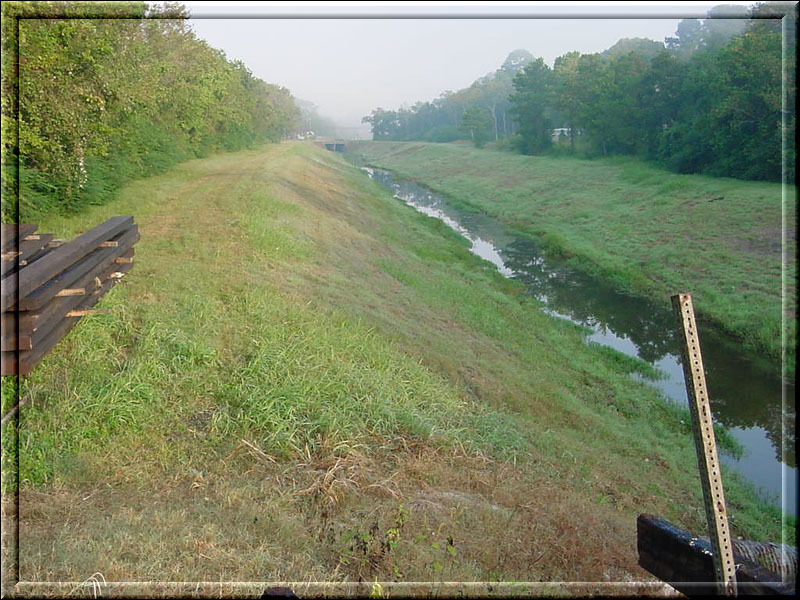 3 West look of Cedar Bayou from Hwy 146 where Cary Bayou enters on left side. 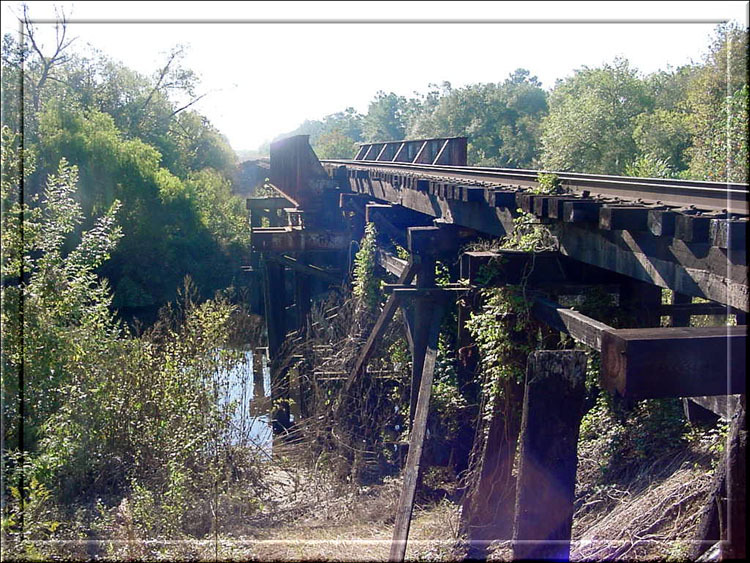 4 Another look of Cedar Bayou from Hwy 146 where Cary Bayou enters on left side. 5 Just on the north side of Cedar Bayou in Chambers County is this sad little dilapidated park. 6 Slap Out Gully formerly Spring Gully running under Spur 330 close to I-10. 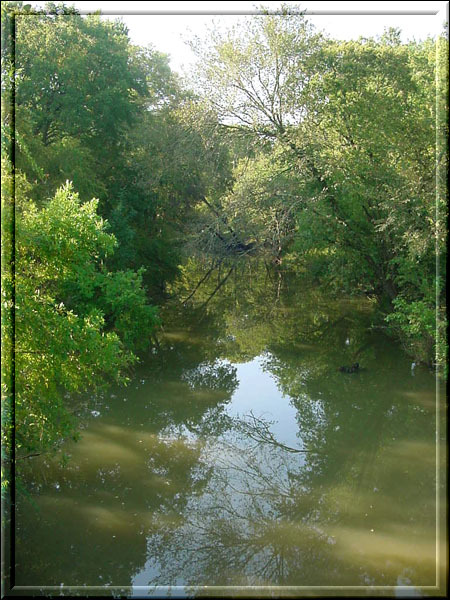 If you have information about waterways in the Baytown area, please write here.